I've been in the picture scanning mode lately, and I decided to go all-out and share my photo collection from what is easily the most interesting job I had, working in the front office of I-70 Speedway in Odessa, Mo. I-70 was a Kansas City racing institution. 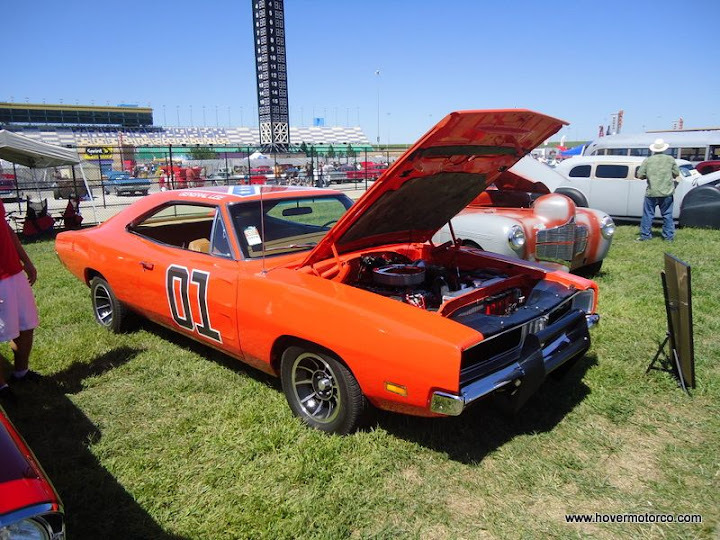 Opened in 1969 by salvage yard owner Bill Roberts, the track proved to be one of the fastest, toughest, most significant venues in the Midwest. For its time, I-70 Speedway was state-of-the-art, with modern concession stands and restrooms, individual boat-type seats in the grandstands, and a VIP suite/media center. 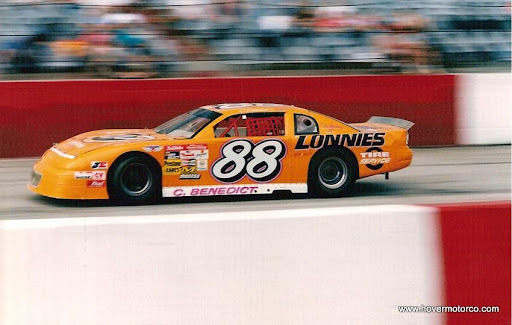 Short tracks didn't get much better than this. Like most people, I sometimes miss the cars I sell. Usually, I get rid of them for a good reason—like the new one is better—but still, I get attached to them. Of course, unless you have unlimited funds, you can’t keep ‘em all. And since that is the case, maybe the next best thing is to pick up a diecast or build a model of your long lost prized possessions. I got in the habit of building a model of whatever car I own years ago. Truth be told, my models aren’t show winners or anything, but they mean something to me. I still find myself studying my old models and thinking about what it was like to drive that car, or I think about the fun places I went in that car. I’m pretty sentimental anyway, so it doesn’t take much to send me into dreamland. For some 50 years, the Chevrolet Impala has been a perennial best-seller in American driveways. And there’s a good reason for that. They’re larger than most cars in their price range, have a record of reliability, and carry a history like no other family car on the market. Impalas are a pretty common sight around my house. Right now, we have three—my wife’s 2007, my ’96 SS, and a 2004 that we purchased new. We were supposed to trade the ’04 in on the ’07, but it was such a good car, we decided to keep it. So yeah, the leaping deer logo is pretty familiar in our garage. 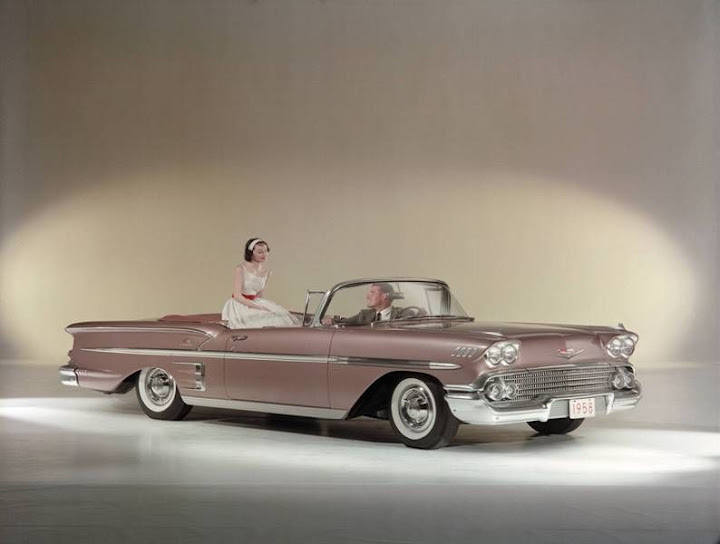 The Impala started as an upscale trim option in 1958. 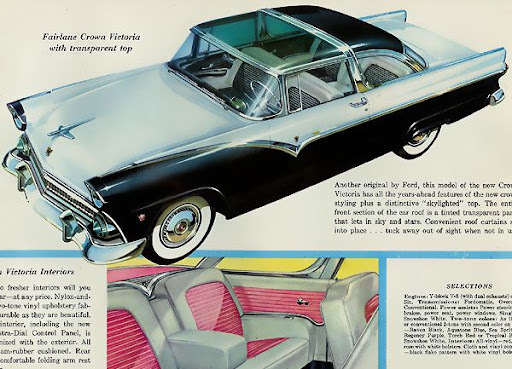 Bumping the lavish Bel Air from the top of the food chain, those long, chrome-drenched first Impalas were everything people loved about 1950s automotive style. 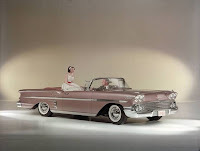 When you look at a ’58 Impala today, it is hard to imagine that this over-the-top, highly-detailed land yacht sits in the same place in the market as the current car, but that’s how it was. You could order your fancy new Impala with anything from a 235-c.i. straight-six, to a monstrous 348 V8. 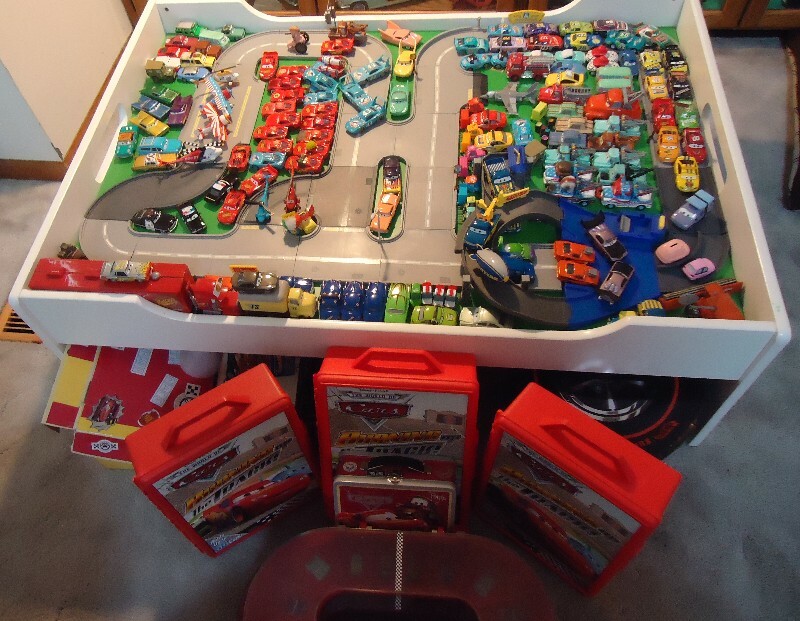 And these X-framed cars are still revered by collectors today. I'm a real sucker for old car pictures. And nothing captures the feel of old cars more than the places they were sold. 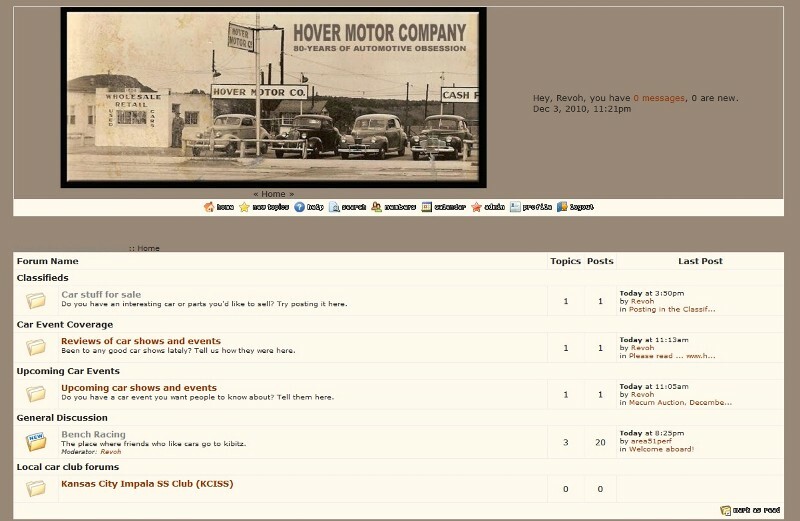 I mean, look at the top of this page--the whole blog starts with a picture of my granddad's used car lot from the 1940s. 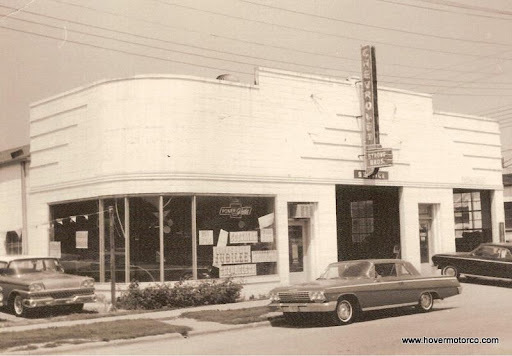 When you look back at old car dealership photos, you're not just looking at a few cars parked around a building. You're looking at someone's hopes and dreams. You're looking at history before it happened. Someone may have saved their whole life to purchase the thing you're looking at there. Maybe it ended up driving them to their wedding. Maybe someone eventually died in that car. 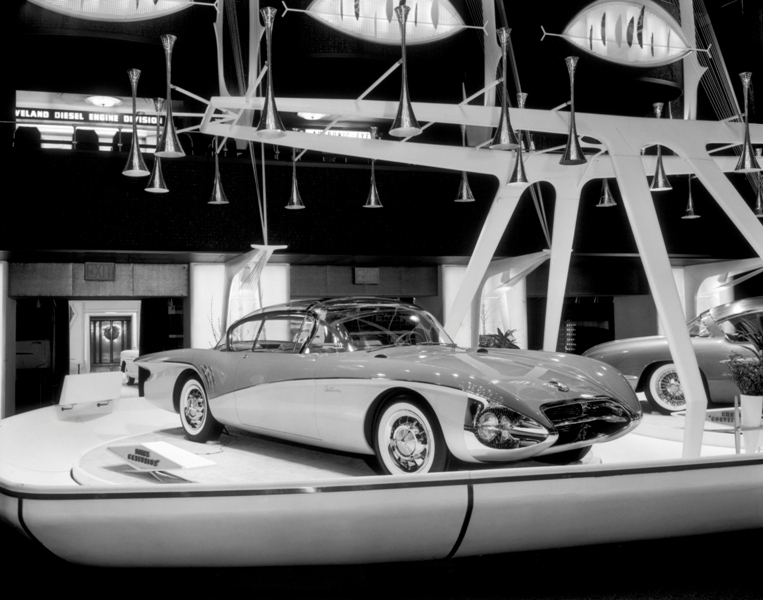 There is a lot of news about Chrysler Corporation lately, and much of it is bad. When you are bombarded with all the headlines, it is easy to forget just how significant this company really has been in this country. 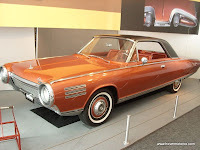 I was reminded of that fact earlier this year when I took a tour of the Walter P. Chrysler Museum in Auburn Hills, Mich. 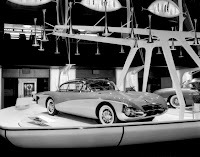 This 55,000-square-foot facility holds three levels of rare and interesting vehicles from Chrysler’s storied history. 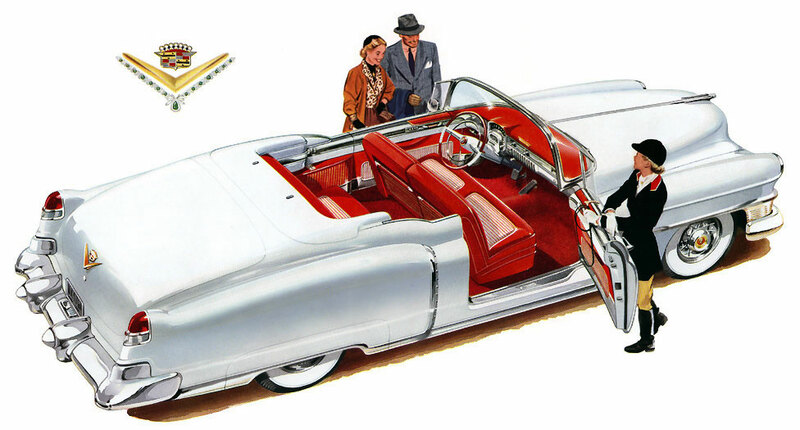 Some of my favorites included concept cars such as the 1941 Chrysler Thunderbolt, the 1941 Chrysler Newport, and the 1953 Chrysler Ghia Special. Seriously, where are you going to be able to see these unbelievably rare cars together in one place? Kansas City isn't exactly the entertainment capital of the world. Not many movies are made here. It would be unusual to see Tom Cruise in the local Starbucks. They don't tend to block off the streets to film car chases. If you can make it here, you might not be able to make it somewhere else. But if you go to enough car shows around town, so start to see a distinct Hollywood influence. 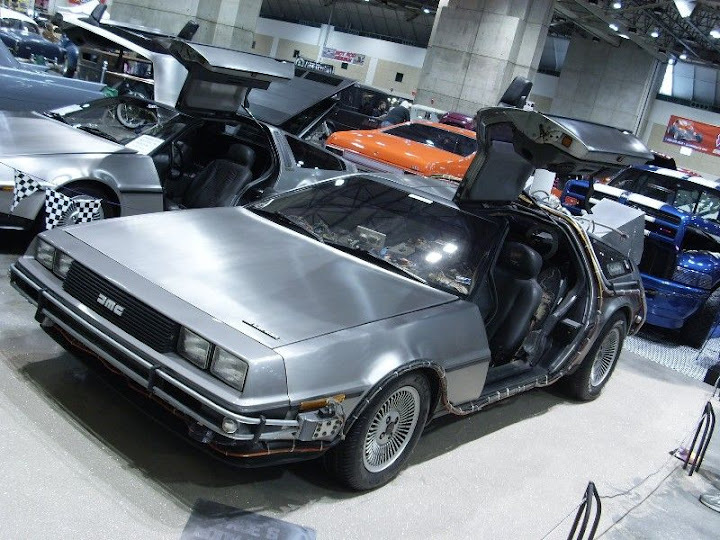 Real and recreated TV and movie cars are all over the place, and you can really have a brush with fame when you see these cars for real. In case you hadn't noticed, I'm a total sucker for old car-related movies and shows. So when I see one of these celebrity cars around here, I notice it. I mean, the General Lee can clear a barn by hitting a ramp made from hay bails. Who wouldn't want to see something like that in person? People often have a hard time differentiating American vehicles from foreign vehicles these days. The complex equation of assembly plant locations, company headquarters, content origin, and marketing message can throw off even those who want to support the home team. General Motors is partially owned by the tax payers. Chrysler now has a foreign owner. Toyota and Honda build a few of their vehicles in the U.S. What does it all mean? Well, if you appreciate the notion of being loyal to companies that have historically been loyal to America, it is hard to ignore the efforts of GM, Ford, and Chrysler. During some of the bleakest times in our nation’s history, these companies have stepped up to the plate to help keep our military strong, and our borders safe. Nice Bird, huh? It sold for $186,000! ﻿ Well, the weather outside might be frightful, but the convention center was pretty delightful. This weekend, the Mecum Collector Car Auction was held in downtown Kansas City, and after a month's dry spell of virtually no car shows, the inside of Bartle Hall was a welcome sight. There was a real assortment of cars at this sale. You could pick up something for under $2,000 if you weren't too particular. But among the beaters and Saturday night cruisers, there were some real heavy hitters. The top-selling vehicle was a supercharged '57 T-Bird that went for a breathtaking $186,000. 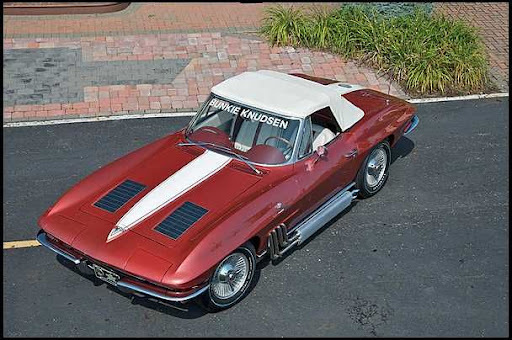 A '66 "Big Tank" 427 Corvette traded hands at $141,000. And another '57 'Bird, this a dual-carb E-Code number dressed in yellow, sold for $132,000. There was also a real '65 Shelby GT350 Mustang that failed to sell after a high-bid of $185,000. So obviously, there were some real cars, and some real bidders in the house. Hover Motor Company introduces a brand-spankin' new messageboard. 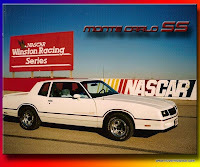 Free forums for local car clubs! 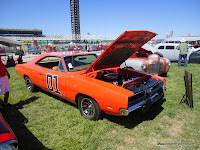 I've made it out to a bunch of car shows in the Kansas City area over the summer, and I know lots of you are checking out the site. I've enjoyed meeting some of you, and I appreciate all the positive feedback the blog has generated. I really do appreciate it, and I'm glad you seem to be enjoying the stories! The days are getting shorter, and so is the weekly list of car events around Kansas City. This is Halloween weekend, and nothing makes the heart skip a beat like a drag race at KCIR. 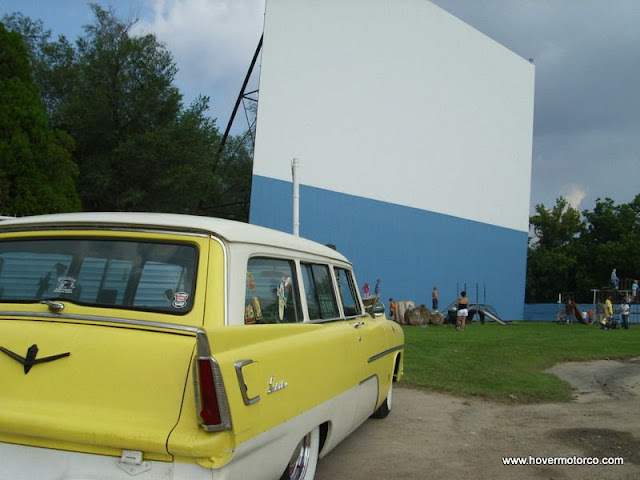 Or for a real scare, hang out after the sun goes down at one of the local cruise nights. Maybe you just want to catch the Independence Halloween parade. Or get ready for some white-knuckled action as NASCAR heads to Talladega Superspeedway. As usual, I encourage you to call or check ahead before you head out to most of these events. As the weather gets cold, and the daylight gets scarce, these late-season shindigs have a tendency to get cancelled. But even at that, there are still several fun things for car aficionados to do or see around KC this weekend. Check out the calendar of events below. ﻿ As a sentimentalist and a collector, I always feel a bit of sadness when I hear that the nation’s great car collections are pieced out and sold at auction. 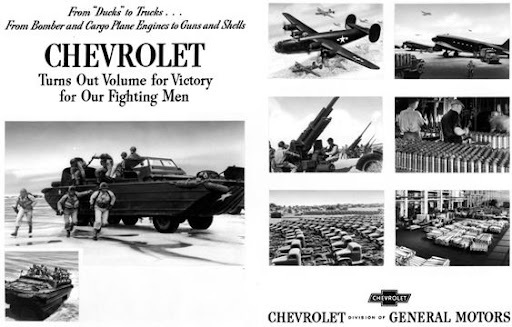 And for Chevrolet fans, one of the most significant collections was assembled by Ohio Chevy dealer Bob McDorman. His amazing group of cars will be sold by Mecum Auctions at his Canal Winchester dealership on November 6. McDorman is well-known for owning one example of every year Corvette ever produced. And many of those are exceptionally significant cars. Twelve of those Corvettes have serial number 1. Some of them are special-order, GM-built, one-offs, like Bunkie Knudsen's 1963 Sting Ray, and his wife Florence’s specially modified “Pink Pearl” car. These cars are ridiculously awesome, with all kinds of Bill Mitchell design touches inside and out. If you were around in the 1980s, you probably remember that line spoken by Michael J. Fox in the 1985 Steven Spielberg-produced time travel adventure Back to the Future. It has been a long time since anyone has been able to hear that said on the big screen, however. But thanks to the film’s 25th anniversary, Back to the Future is back in the present, as the film was re-released for two showings in selected cities. We had a chance to catch the re-release at Barrywoods 24 at I-29 and Barry Road, and in spite of the somewhat outdated ‘80s feel, the film still holds up well today. Doesn't everyone put their truck in a costume for Halloween? Halloween brings out all kinds of crazy homemade costumes—and sometimes they aren’t even on people! Take Saturday night during the “Trunk or Treat” event at St. Therese church in Parkville, Mo. In addition to the usual collection of ghosts and ghouls trolling the parking lot for candy, people also fixed up their vehicles to scare and amuse all the kids and their parents. Our family usually attends this event for our son to score some free Twix bars, but we also set up a candy station in the back of our ’63 Chevy C-10. Naturally, the truck needs a costume too, and what better costume for a rusty old truck than Tow Mater from the Pixar Cars movie. Yes, we’re starting to see the phrase, “last one of the year” turn up in more and more of these event listings. We’re nearing the end of October, and car events are going to start to become few-and-far-between very shortly. But let’s not dwell on the negative! At least there are still some great events that you can hit this weekend. Whether you like Fords, Volkswagens, or something more general, there are still some fun places around Kansas City that you can go to scratch that automotive itch. Check out the list below for the full skinny. And remember, as we get later in the season, it is a very smart idea to call ahead and make sure it’s a go before you head out to these things. Or not. Sometimes it’s worth taking the chance just for the opportunity to get to drive somewhere. It seems like NASCAR diecast models are everywhere today. You can get a nicely finished version of pretty much every car out there, and usually every special paint scheme. 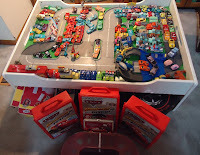 There are so many different diecasts are available, it would be virtually impossible to collect them all. It wasn’t always that way, though. 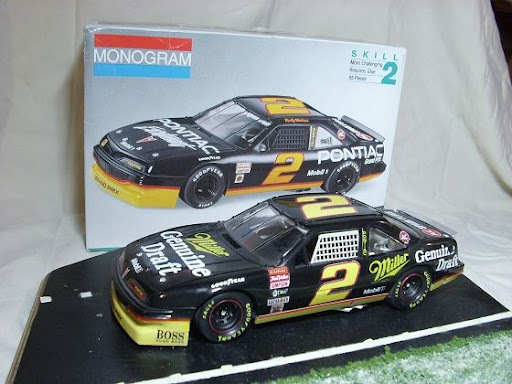 In the 1980s, if you wanted a scale model of your favorite driver, you pretty much had to build it yourself. 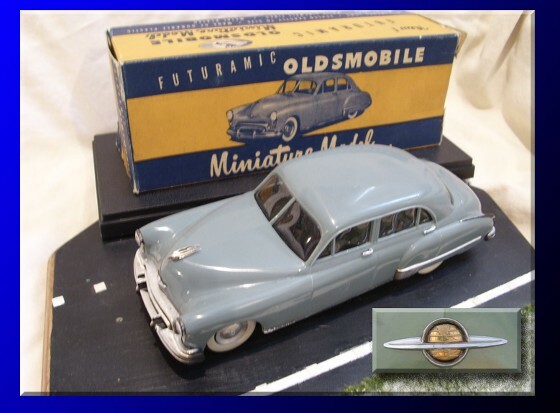 And the most popular; and arguably best 1/24th-scale plastic model kits were made by Monogram Models. 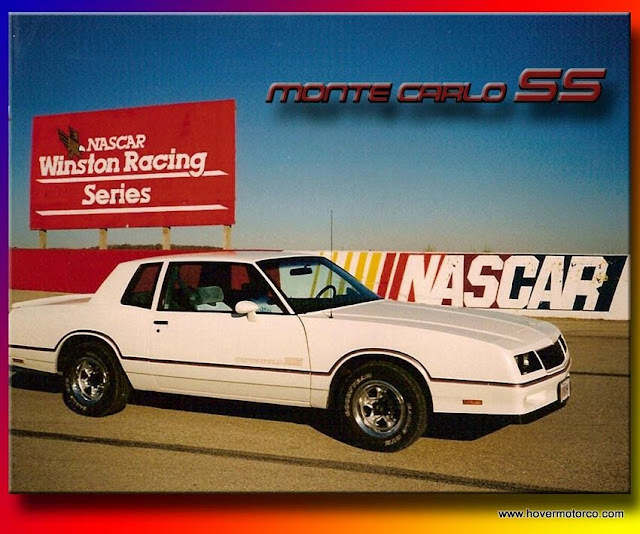 Monogram had been building kits since the early 1950s, but the stock car business really took off with the introduction of a new NASCAR line in 1983. At the time, these kits were state-of-the art. They had features and details never before seen in race car kits. 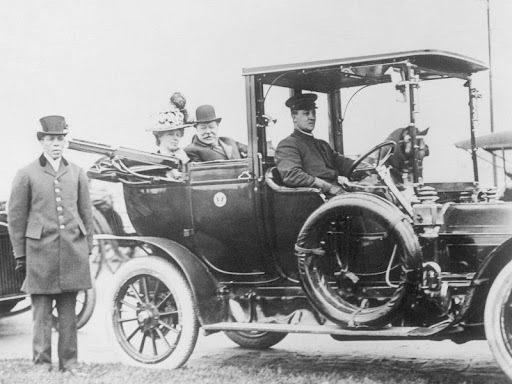 Even the construction of the chassis and the way it mated up to the body was similar to the way a real racecar was built. The biggest car show we ran across this weekend was the "Drive to Survive" benefit event in Edwardsville, Kan. This was put together for a popular owner of a performance shop, Dorian Comeau, who suffered serious injuries in a car accident last May. Dorian was paralyzed from the neck down, and the show raised money for surgery costs, wheel chair provisions, and other necessities. It also drove home the idea of wearing your seat belt. All-in-all, pretty good reasons to hold a car show. This was definitely a nice turnout. There were cars parked all around this industrial park area, as well as in the fields surrounding those lots. And unlike some car shows, the spectator parking, where normal cars were sent, may have been bigger than the car show. You have to admit, the weather is pretty darned stellar in Kansas City for mid-October. Normally a car show would be a miserable, cold affair right about now, but that was no such problem for the Rev 'Em Up and Rock 'Em Out Car Show and Rockabilly Day presented by Fat Fish Blue and Big Brothers Big Sisters of Kansas City in the Zona Rosa shopping area. I think this was envisioned as sort of a upscale shopping version of the Greaserama show, and there were a few gritty hot rods, girls with bright red lipstick, and guys with their jeans rolled up. 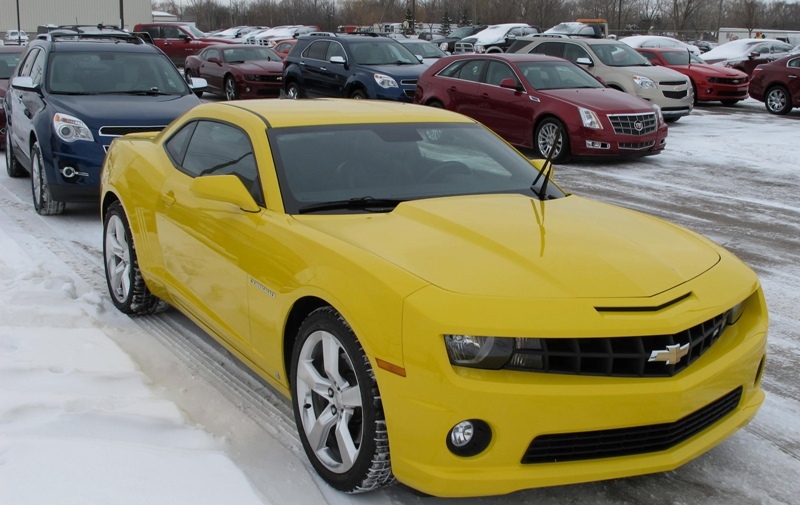 There were a couple of newer cars slipped in there, like a Chevy SSR and a Plymouth Prowler. But really, what do you expect when you're a block away from an Old Navy store? I kind of like those SSRs anyway. When you go to a lot of car shows around town, you start to notice patterns. And one thing that seems to be fairly consistent is that a lot of the higher-end hot rods have been built or worked on by Tallant's Auto Body in North Kansas City. Saturday, Tallant's had an open house to show off some of their current projects, and several of their friends and folks with cars they've worked on were on hand to eat hot dogs (made in a grill that looks like a dragster, no less) and bench race. Tallant's Body Shop is connected to KC Street Rod Parts, so they were also offering discounts and letting people check out their showroom. Friday night my mom had some of her little gnome dolls that she makes featured at Images Art Gallery in Overland Park, Kan., so we went down there after work to check it out. My wife drove, and just as we were about to head north toward home, I casually sprung out with, "hey, just turn down here and let's see if there are any cars at the Longbranch Cruise." To which she shrewdly observed, "um, it's dark out, you know." And she had a point. Fact is, at 7:15, the sun was completely gone. Pitch dark. Nothing to see here. Why does summer have to end, anyway? Test-driving the 2011 Ford F-150 at the Michigan Proving Grounds. So what's that like? Tuesday was a busy day. I caught a 6:00 a.m. flight to Detroit, took a two-hour car ride to the Ford Proving Grounds in Romeo, Mich., drove the new engine lineup for the 2011 Ford F-150, rode back to the airport in a shuttle van, and was back in Kansas City by 9:15 p.m.
You can read about the new Ford truck in my article on the Examiner. But honestly, you can read that kind of stuff anywhere. Here, I thought I'd tell you a little about the Ford Proving Grounds and what this type of event is like. 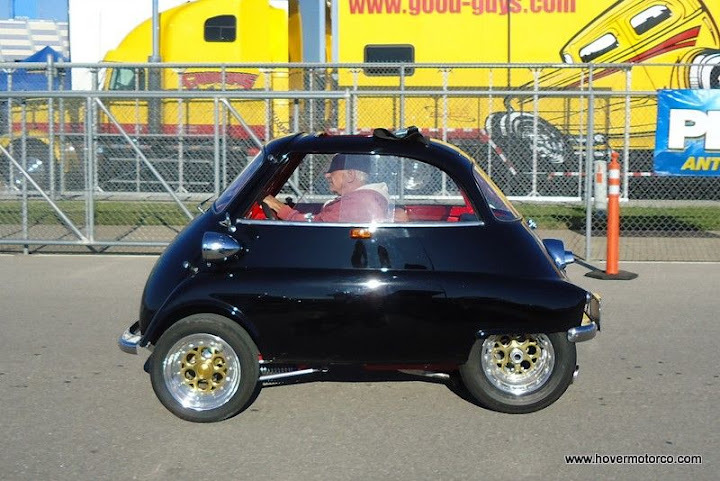 The list of car shows and events is starting to dwindle for this season, even though it looks like we’re going to have some really nice weather. 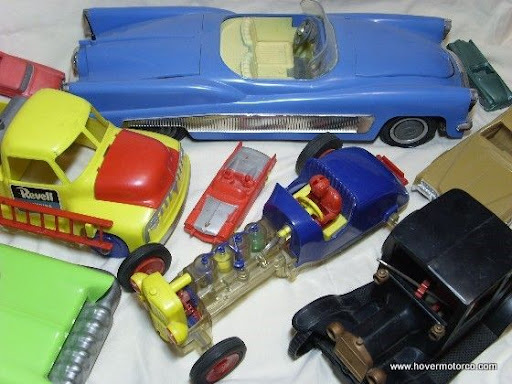 Still, there is a nice list of things that you can go do, including a Big Brothers and Big Sisters event in Kansas City that looks pretty interesting, a toy show in Adrian, and four classes of racing at Lakeside Speedway. So how are you going to spend your final days of the car season around Kansas City? Maybe you’ll find something that trips your trigger in the schedule of events below. Well, you can say you knew me when. Recently, I was invited to be the spotlight writer of the month at http://www.autowriters.com/. No doubt about it, it's only a matter of time before I am snatched up by some big automotive magazine, and whisked away to Italy to review the newest Farrari, never to do this blog again. OK, maybe not. But it was still pretty cool to be recognized by a legitimate source for automotive journalists. Plus, some of the real players in the industry subscribe to that newsletter, so who knows what it might lead to? Anyway, if you'd like to read a little more about me (I know, things could be better), check out the article below. You may have noticed that I tend to gravitate toward old car promotional stuff. 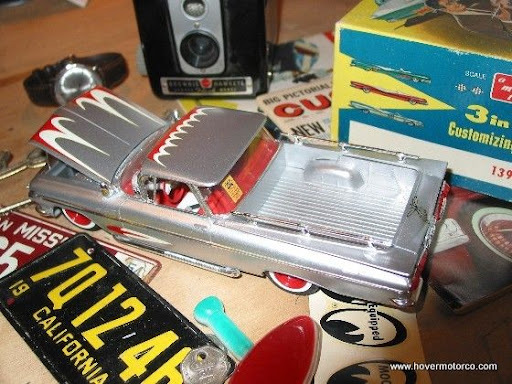 I love the old advertisements, collectables, memorabilia, and all the stuff that surrounded old cars back when they were new. Maybe that's why I'm running out of living space--too much of that old kitsch taking over the house. I've always loved this kind of stuff, which is probably why my college education centered around marketing and advertising. No, that's not what my career is in, but I guess I was training to manage my collection and write this blog. Last year, Basehor, Kan., was one of the coldest, most miserable places that anyone would ever want to be. And yet, the number of entries at the Basehor-Linwood High School Car Show was very large. It was easily one of the better attended car shows of the entire year. But that great turnout didn't really prepare anyone for what would happen if it had been one of the four absolutely perfect days that seem to occur in Kansas City every fall. But as it happens, one of them fell on Saturday, and this car show exploded. 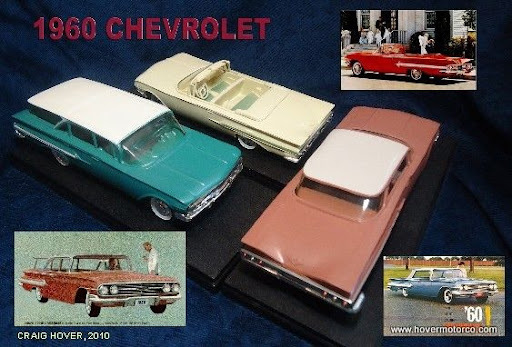 Dealer promos are among the most valuable, most sought-after scale model cars ever made. And yet, the average person has no idea what they are. Today, we’ll try to explain how promos fit into the scale model puzzle, and we’ll take a look at some early examples in the slideshow below. Promo models were cast in pot metal for many years before our story starts. They were usually coin banks. These high-quality, durable miniatures were sold as far back as the 1920s or ‘30s, and nice originals tend to bring good money today. After all the car stuff that went on last weekend, you’d think we could get a break. Not so! There are more than enough high-horsepower activities in which Kansas Citians can participate this weekend. Finally, after two unsuccessful attempts, it looks like Mother Nature is going to allow Lakeside Speedway to run the Jayhawk Modified Classic. The Basehor Project Grad Car Show is always a big deal. And several area cruise nights are being held for the final weekend of the season, including the Bass Pro Shops cruise in Independence. And unlike most years, the weather on this second weekend in October promises to be warm and comfortable, as opposed to the usual climate that only appeals to the Polar Bear Club. Check out the entire schedule below. That’s the slogan for the nationally recognized Internet Car and Truck of the Year contest, which is going on right now. And here’s something that you probably never would have guessed—I am in the “Internet Pros” category. R.I.P. 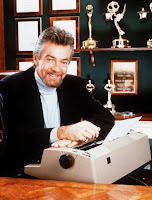 Stephen J. Cannell. His shows live on, and so do the cars. 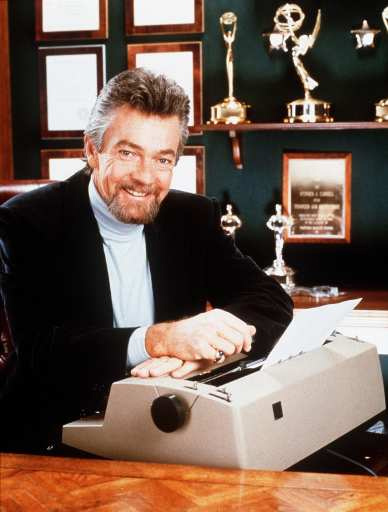 Tonight my wife said, "you know Stephen J. Cannell died, right?" Of course, I knew that. As if. In my world, this guy built one of the most enviable careers I've ever seen. I mean, he created some of the greatest cheeseball one-hour cop and detective shows ever shown on television. Shows that, by the way, I am still absolutely addicted to today. This is the guy that came up with The Rockford Files, The Greatest American Hero, Hunter, and The A-Team. He was able to develop those awesome bits of guilty pleasure, become rich and famous, and actually have movie studios hire real actors, blow things up, coordinate car chases, and televise all this to a national audience. Seriously, for someone like me who stresses over a measly little blog, this is amazing, fantastic, cataclysmic, otherworldly awesomeness that cannot be explained in words. He died of cancer last Thursday, which totally stinks. But his TV shows live on on television and DVD. When church lets out at 11:00 on Sunday, look out, because the Hovers are on the loose! Today it was straight to GladFest Days in Gladstone, Mo. Craft booths for mom, carnival rides for son, and oh yeah, a big car show for dad. And we smoked through all this in enough time to go see the Challenger steam locomotive on temporary display at Union Station with my wife's dad, a retired Union Pacific man and overall train nut. It's hard to forget the GladFest car show. A big part of that is because organizers handed out a glossy, bi-fold, color entry blank at nearly every other car show I went to this summer. I keep all those kind of flyers to use in the "Upcoming Events" features, and my folder is cram-packed with GladFest information. In case you didn't know, Greg Biffle won the NASCAR Sprint Cup Series Price Chopper 400 at Kansas Speedway. But Biffle wasn't the only winner in Kansas City, Kan.
Beautiful weather meant that everyone who went to the races was a winner, too. And my family and I were among the hordes of fans that spent some time watching the sensible consumption of high-octane fuel this weekend. Overall, we had an incredible busy weekend, so getting to Kansas Speedway wasn't really in the cards. But as luck would have it, BHo's school was closed on Friday, so we were able to take in a day of practice and qualifying at Kansas City's racing showplace.